Join us for our monthly luncheon, open to all IWIL members and their guests. Registration is $18 per person on or before May 10; $23 after May 10 or at the door. 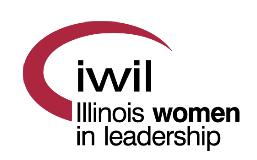 Every year, Illinois Women in Leadership award three High School scholarship awards to graduating seniors in Sangamon County. In addition, there is one annual Chrysalis award that is designated for a woman at least 5 years out of high school and is now taking college or university courses. Each award is $1,000 for one year. Please join us to recognize these outstanding women for their passion, dedication and how they exemplify the IWIL values.